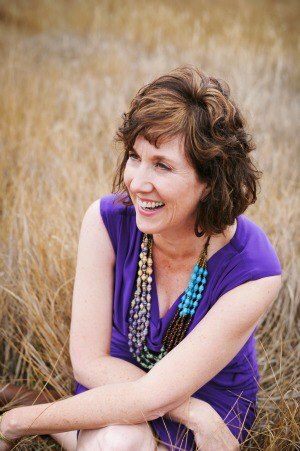 Beth K. Vogt, an author who wrote nonfiction, has just published her second work of fiction; and it is a good read. Catch a Falling Star is a romance with an appealing heroine, Dr. Kendall Haynes. The tension is built in because Kendall has one man courting her and another one who is “just a friend” that against all odds she develops a desire for something more. Now, the thing is, to me the choice was a no-brainer. She had this smooth talking, gag-me-with-a-spoon man, feeding her a line that is almost as old as the earth itself. Dr. Heath Parker seems to really want to become close to Kendall. Kendall and Griffin Walker, an air force pilot, get off to a difficult start. Griffin Walker is a bit boorish, but he seems real. I realized that Vogt was doing a great job of bringing her characters to life when I noticed that I was having strong reactions. I could not stand Heath Parker. I had an even stronger aversion to Kendall’s spoiled, down right bratty younger sister, Bekah. I was completely captivated by Griffin’s younger brother, Ian in a good way; and I liked Griffin Walker even though he was far from smooth. It is good writing that evokes such strong feelings. The book takes an unexpected turn when one of the men pulls Kendall into a situation that could be the end of her medical practice and possible criminal charges. I also loved Vogt’s detailed descriptions of Kendall’s work/loft. We know she had a private “compact” pool, red granite countertops, concrete floors with “broad, red marbled strips,” and “floor-to-ceiling windows showcasing a twenty-four-hour view of Pike’s Peak.” Sounds very nice. Vogt even described the food Kendall ate in such a way that the reader will salivate. She had “a glass of iced tea and a seafood entrée of Durango Bass crusted in walnut and fennel,” served with cranberry chutney, followed by “cappuccinos with just the right amount of steamed-milk foam on top.” Kendall’s wardrobe also included details like “Wide-legged black slacks and plum colored cashmere sweater.” The attention to detail made the book interesting on several levels. 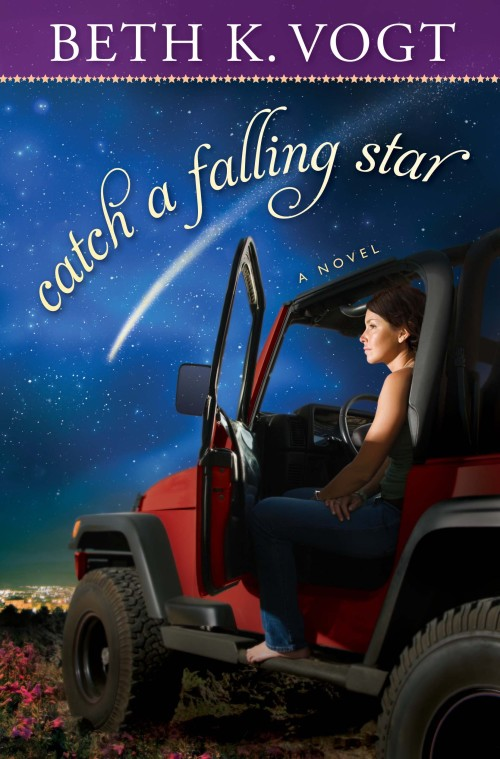 Catch a Falling Star also has details that Jeep aficionados will love. Couple that with an adorable, very funny dog and it adds up to the perception that Dr. Kendall Haynes is living the good life. This was an enjoyable book to read. I loved reading the details of a life that is so different from my own. Plus, it was a just plain good romance. I received this book from the publisher in exchange for a review. All opinions expressed are my own.